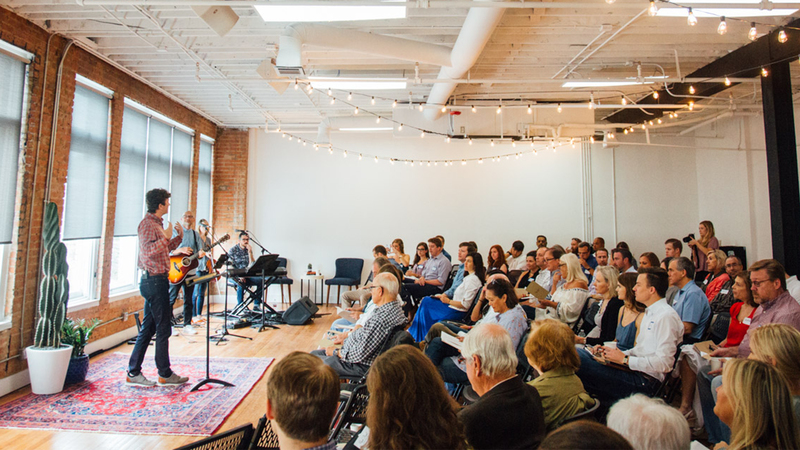 In the early days of our life together, Peak Street Church will commit to a few simple rhythms that have always been embraced by the Church as they follow Jesus together. Whether you’re considering Christianity, new to Peak Street Church or both, we would love to have you join us. Worship Gatherings will be the foundational rhythm in our life with God - Father, Son and Holy Spirit. Via scripture and sacrament, song and prayer, Sunday morning worship gatherings will enable us to behold the glory of God together. While Peak Street Church is moving toward the launch of Community Groups in 2019, we want to provide you with ample opportunities to connect with a smaller group over dinner. Dinner groups will give you the chance to get to know others through the simple grace of a good meal. Serve The City initiatives are catalysts for us to engage with, learn from and serve alongside our ministry partners in the neighborhoods of East Dallas. Serve The City initiatives are offered monthly in the hopes that Peak Street would grow to love our city as God does.